Never been to this place as it is quite new. 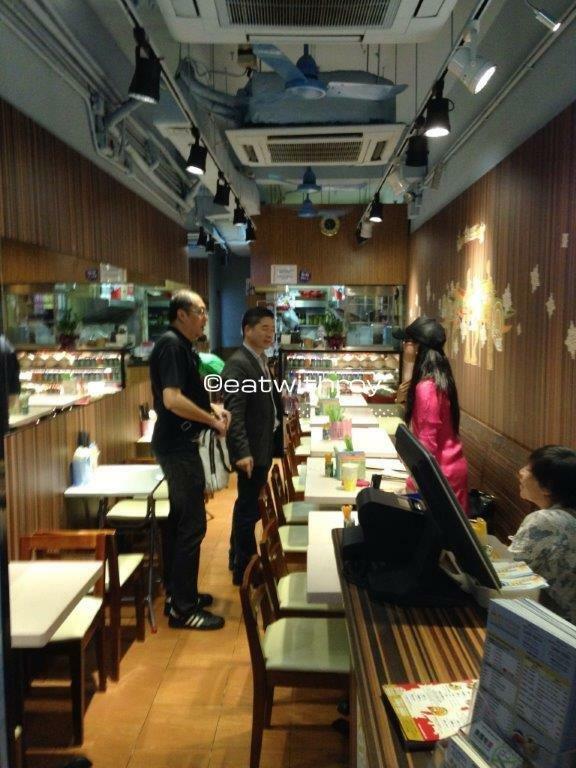 Opened by native Thais but of course they speak Cantonese having been in Hong Kong for some time I reckon. Come to think of it, there is a big community of Thais and Indonesians in Yuen Long area! This place is usually packed during dinner times, worse on weekends. But my friends and I were lucky, didn’t have to wait. 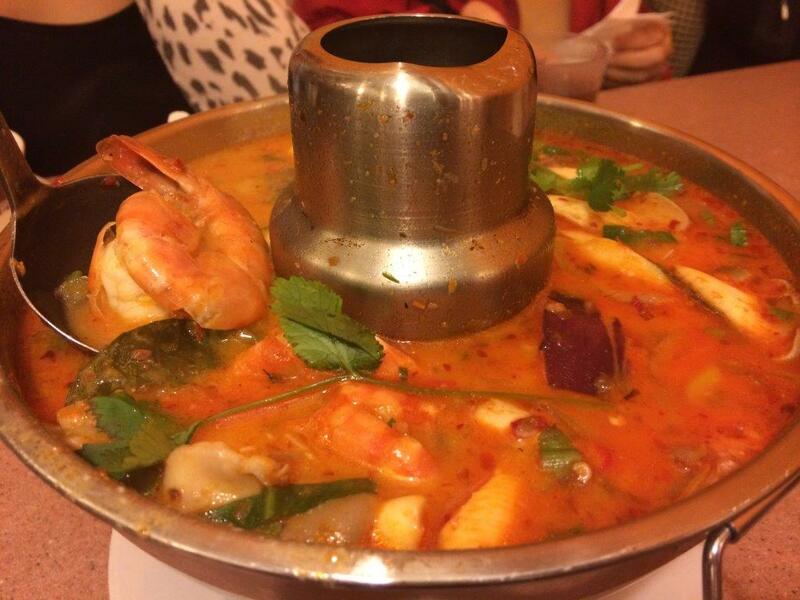 Tom Yum Soup – Yummy and nice. 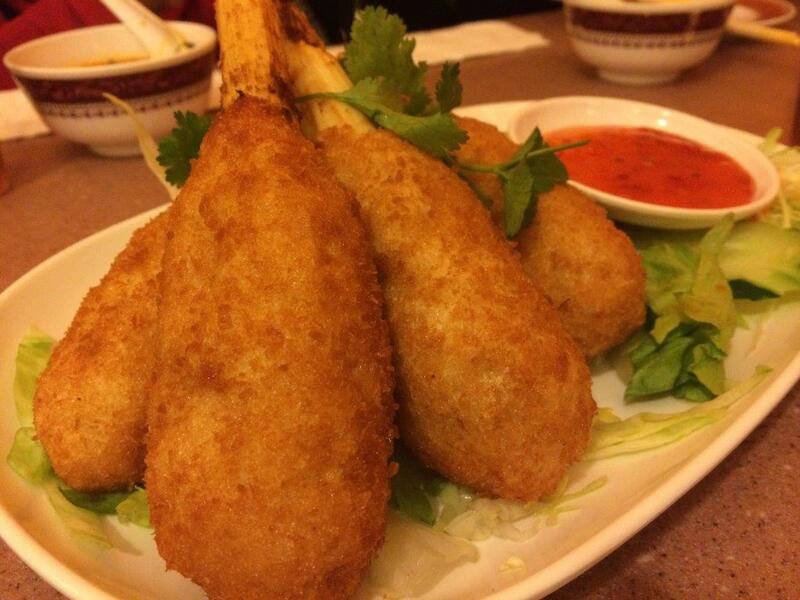 Thai Fish Cake – Nice and fluffy. 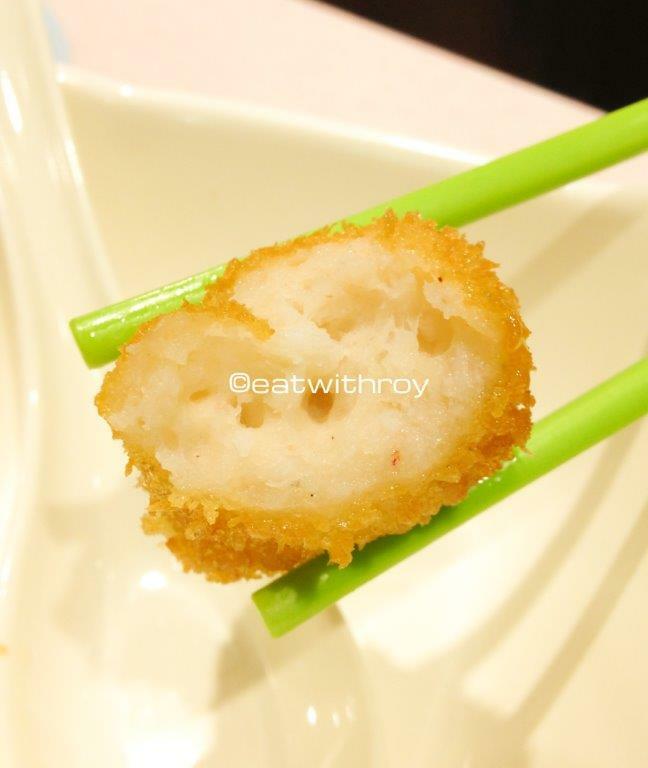 Sugar Cane Prawn Stick – Quite big portioning per stick. 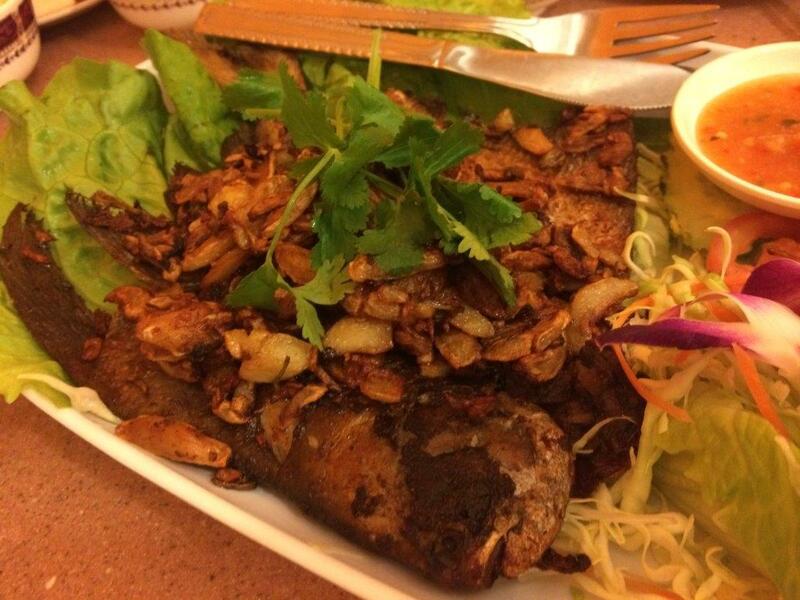 Fried Pomfret – Very nice especially with the abundant fried garlic on top of it. Yums! 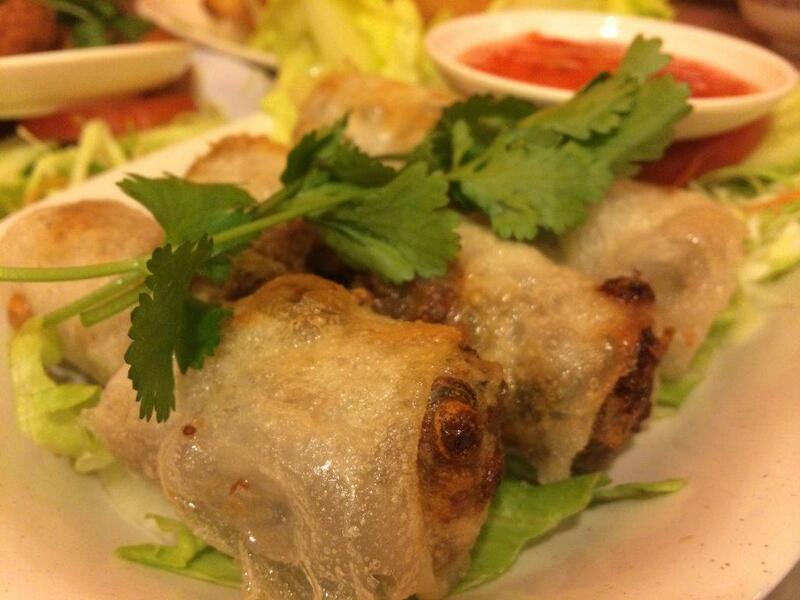 Fried Springrolls – This one is ok only. 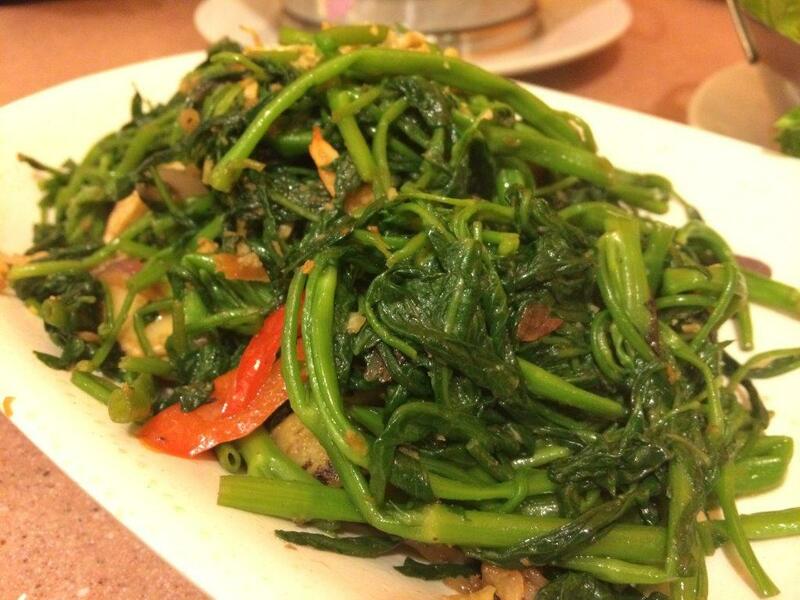 Fried Morning Glory – Our kangkong lah, nice. 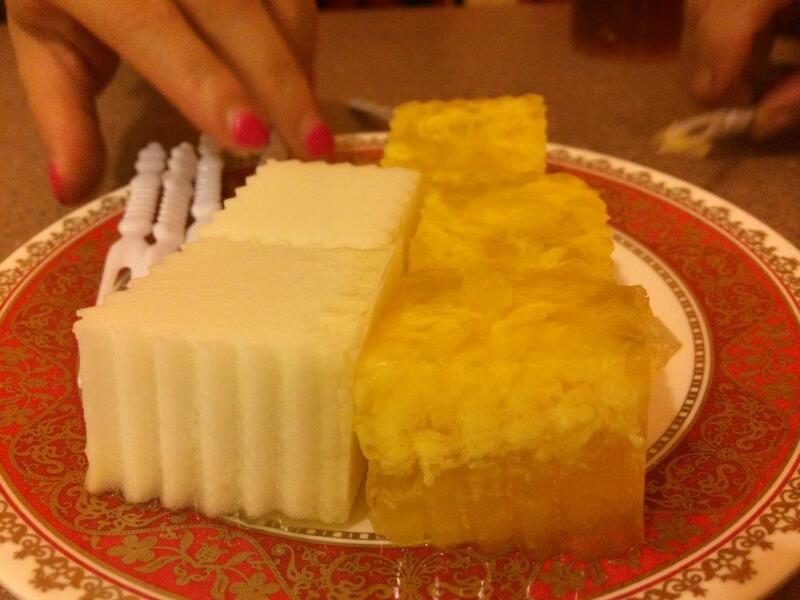 Free dessert of water chestnut agar agar and almond jelly. Overall Rating: 4.5/5. Total bill for 5 pax came up to around HKD$600+ which is pretty affordable. All the serving staff were friendly and mostly are Thais. It’s been some time since I last wrote as I’m back in Singapore for my charity group’s fund raising event (http://caregiversgroup.org) and also for our annual trip to Northern Thailand where I’ll be flying off tomorrow for 6 days. Been really busy but I really need to squeeze this blog post in as it’s been a month since I was invited there for food tasting. 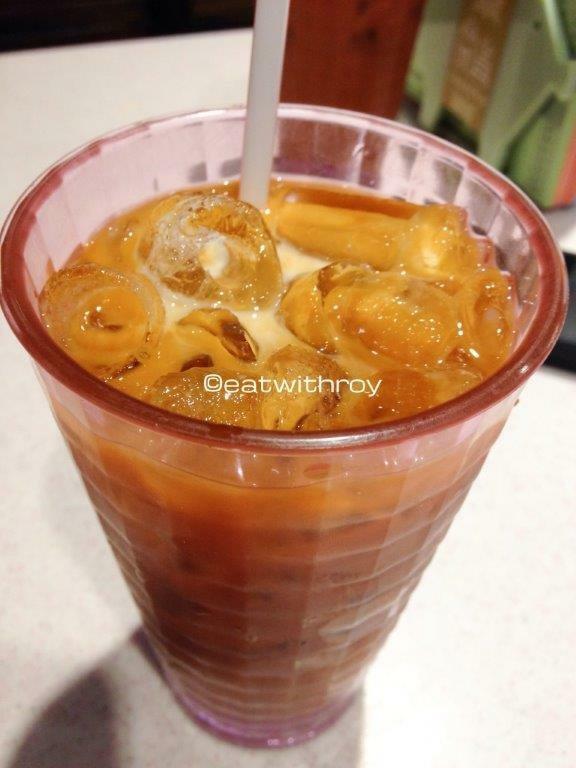 Thai Cha Yen, Ice Milk Tea HK$18 – Requested for not too sweet and was refreshing before food! 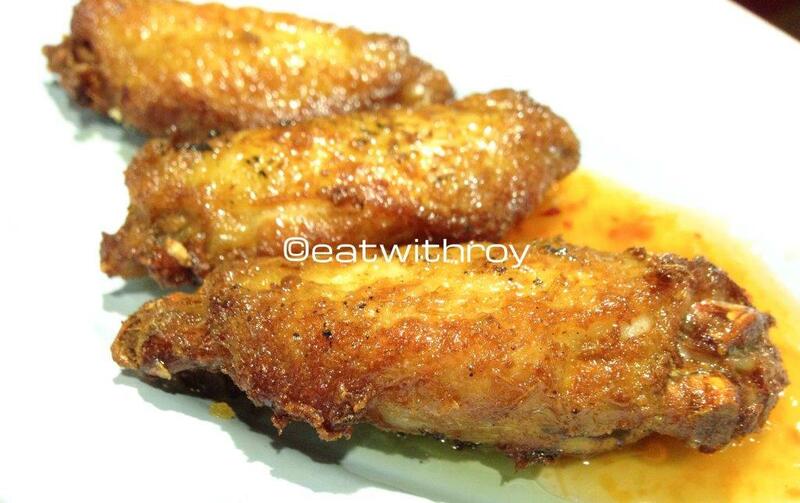 Chicken Wings – Well seasoned and good on its own. 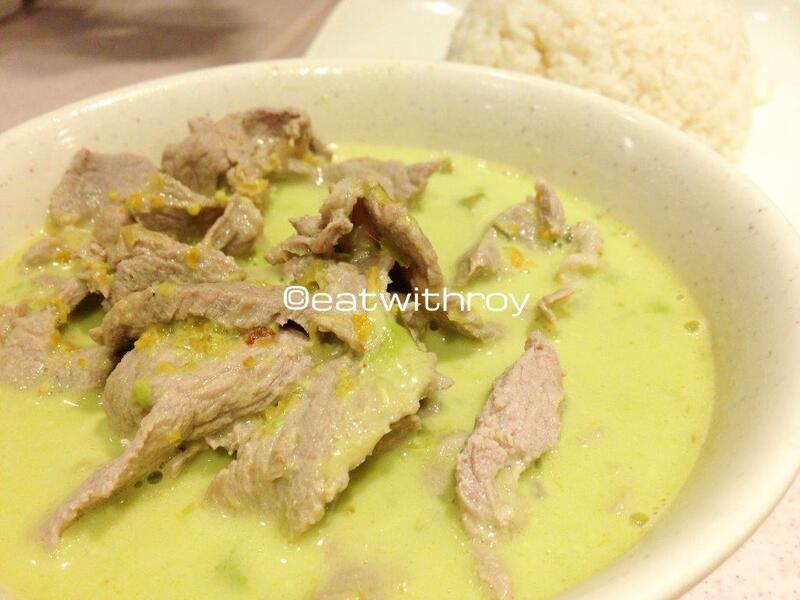 Thai Green Curry With Pork HK$38 – There’s an option of yellow or green curry. 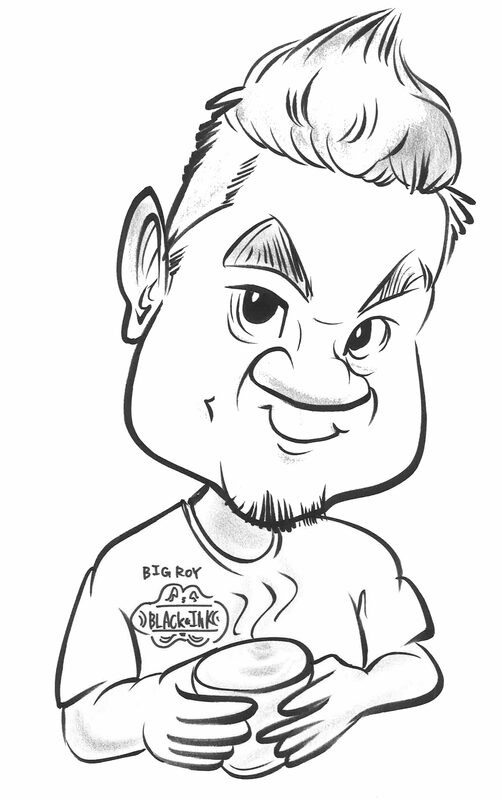 However I still prefer it with chicken and fancy the gravy a little thicker. 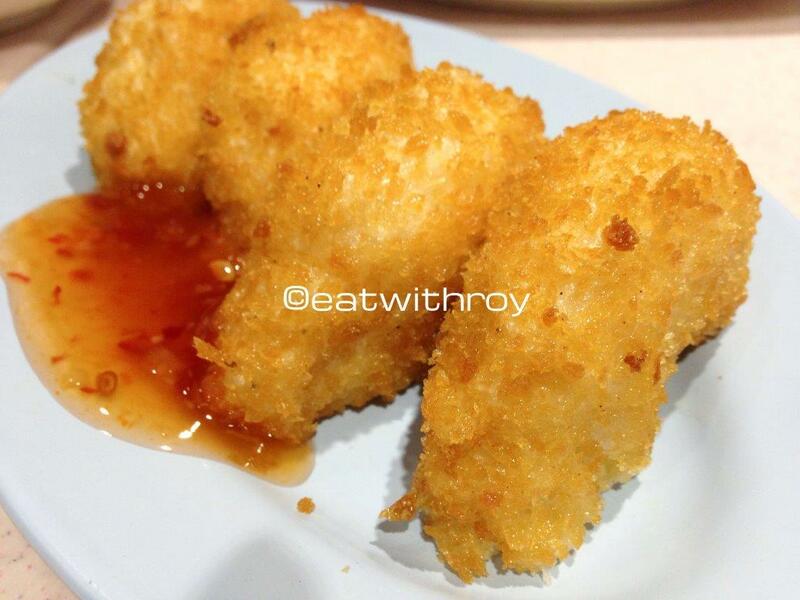 Prawn Cakes HKD$22 for 2 pieces – This prawn cake is really good, juicy with every bite. 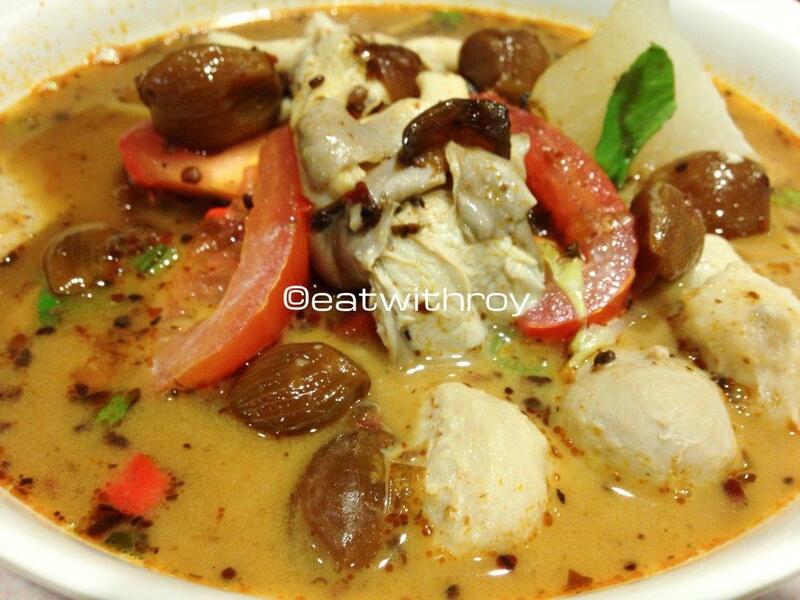 Thai Soup Noodles – The price depends on what you choose; From the soup base and noodle type and then your choice of toppings. 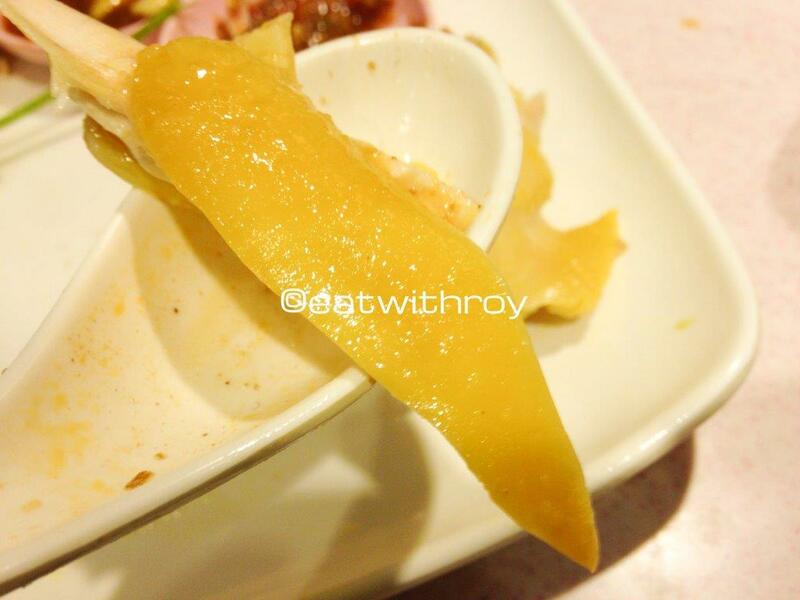 The soup is pretty good, you can choose the level of spiciness and also many other options for condiments. 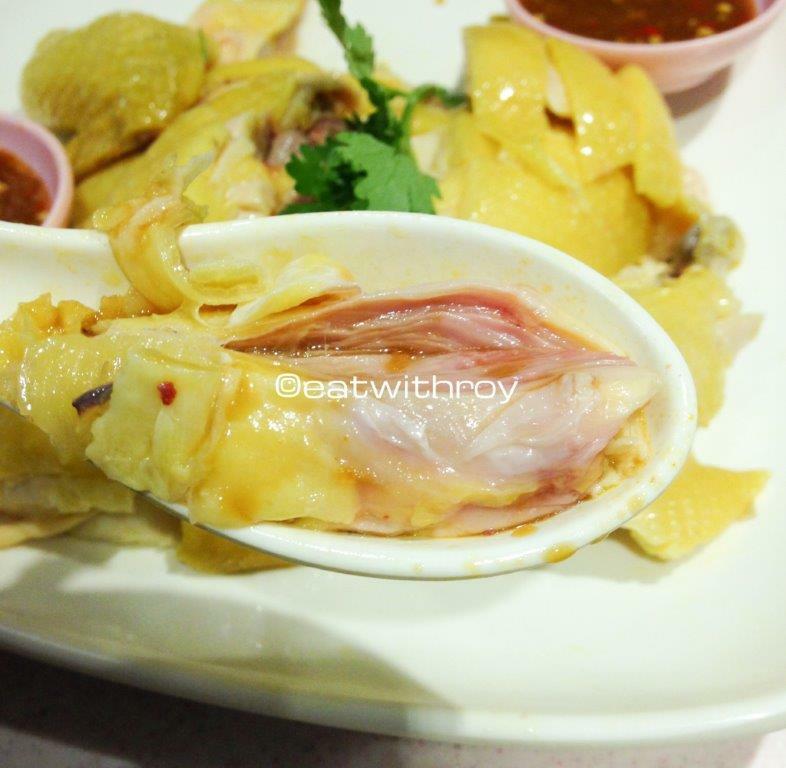 Hainan Chicken – Coming from Singapore where the Hainanese Chicken Rice originates, I cannot be too bias in my taste buds for Hainanese chicken elseswhere. Nevertheless, the chicken is tender and smooth (滑) and the chilli sauce is made in house, different from the ones in Singapore but they have developed a taste on their own and it’s pretty good too! Looks a little raw right? 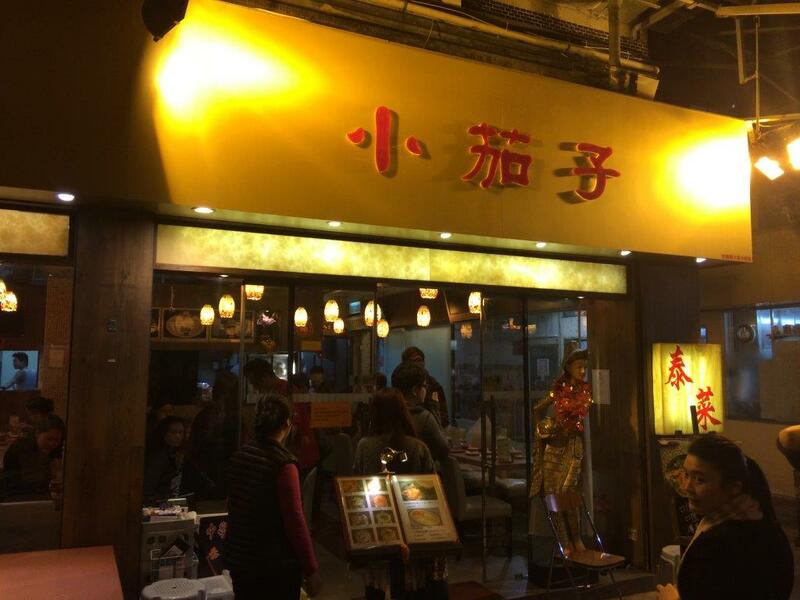 Well that’s how HKers love their steamed chicken! Chicken cooked to this state is actually more tender, even on the breast meat. 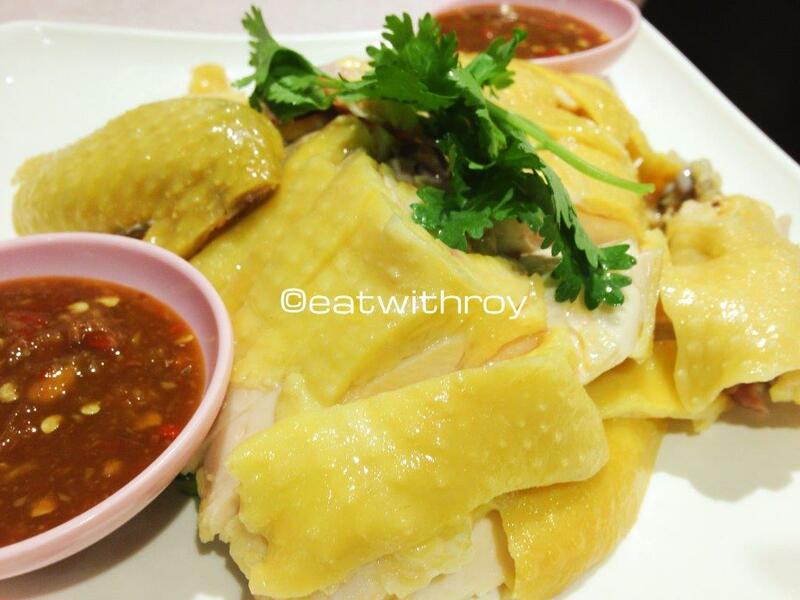 Cantonese just love yellow skin chicken. I remember my grandma told me that yellow-skinned ones are the best. 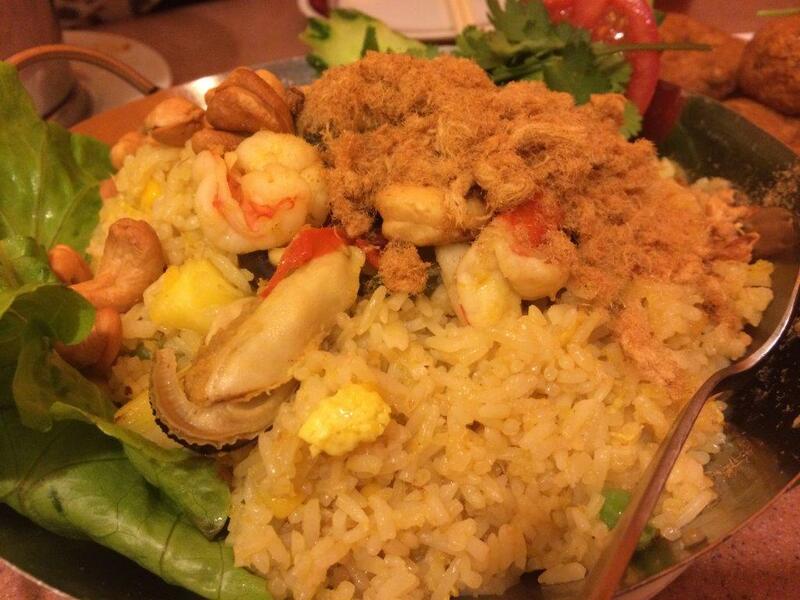 Oil Rice – In other words, the rice that goes with the Hainan Chicken. 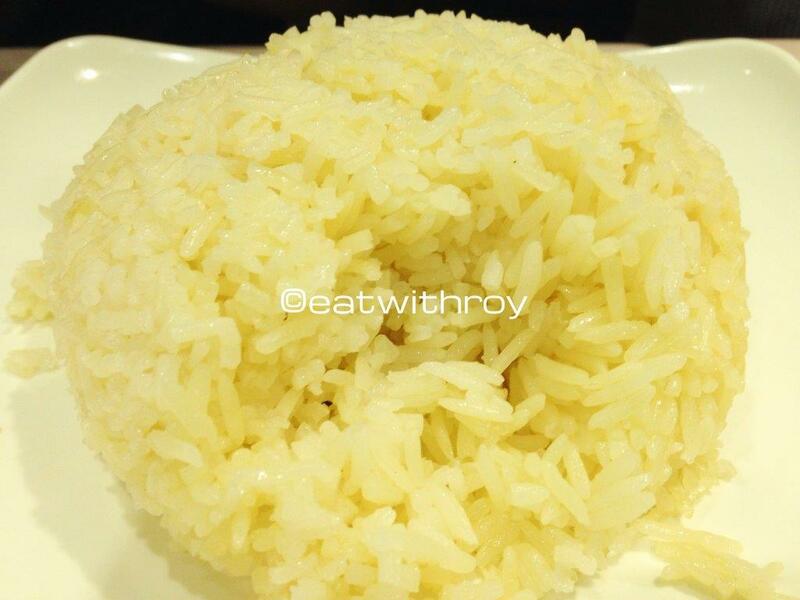 The rice is nice and fluffy and really goes very well with the chicken. Must order! 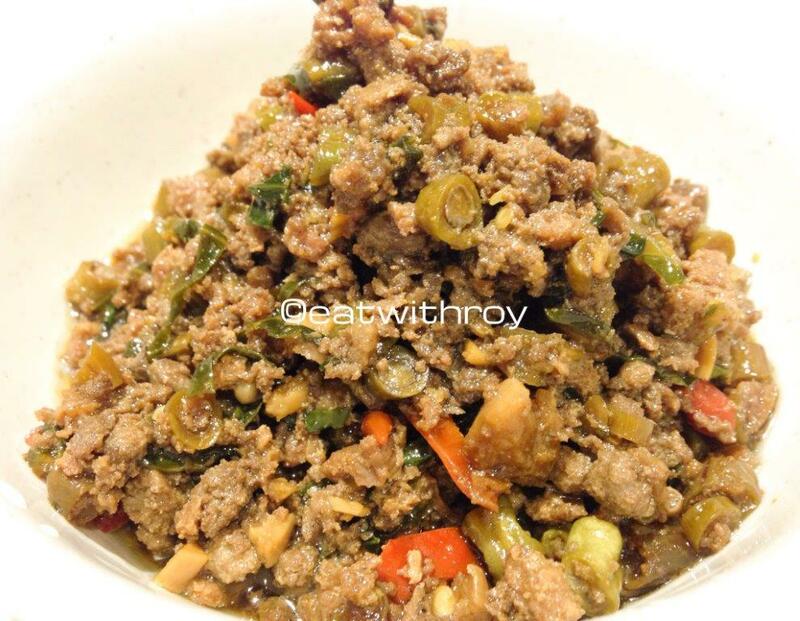 Fried Minced Pork With Basil Leaves – HK$38 and comes with rice. 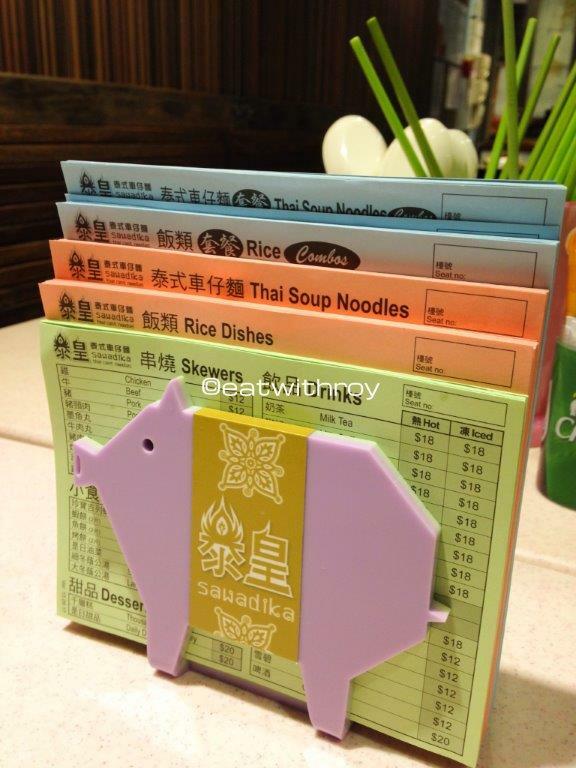 The menu on the table top… Tick away for your orders! Many celebrities came to this place already, even though it’s pretty new. Taste: Overall is good. 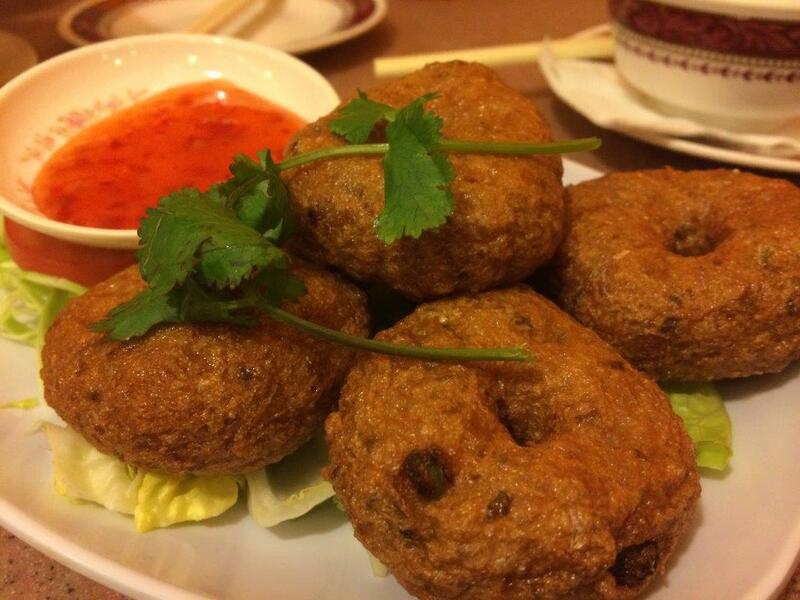 Love the chicken rice and prawn cakes especially. Service: Good. Could be more spontaneous though. 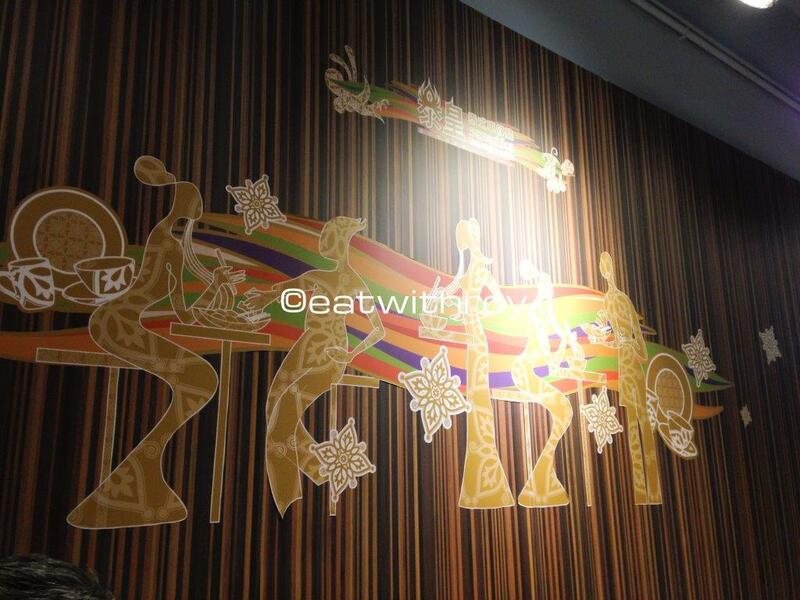 Ambience: A lot better than their first shop, at least in this shop you can sit and eat comfortably. RTE: If I’m around the vicinity. Contact Details: Shop F1, 151 Jaffe Road, Wan Chai. Tel: +852 3484 8885. Operating Hours: 0730-2200hrs. Yes they have breakfast menu too! 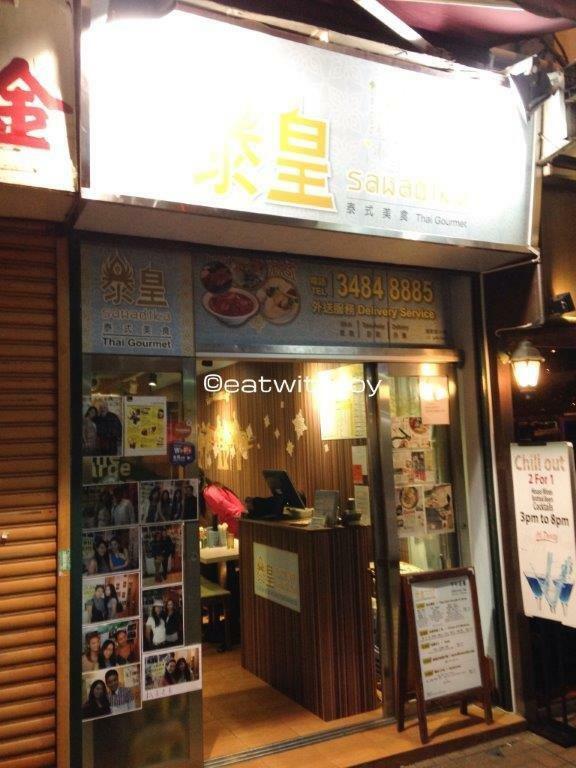 Check out http://www.sawadika.hk for more details.